Reverend Gilbert and Grace Caldwell were overjoyed about tying the knot 60 years ago. They were then immediately heartbroken, however, by the honeymoon that followed. 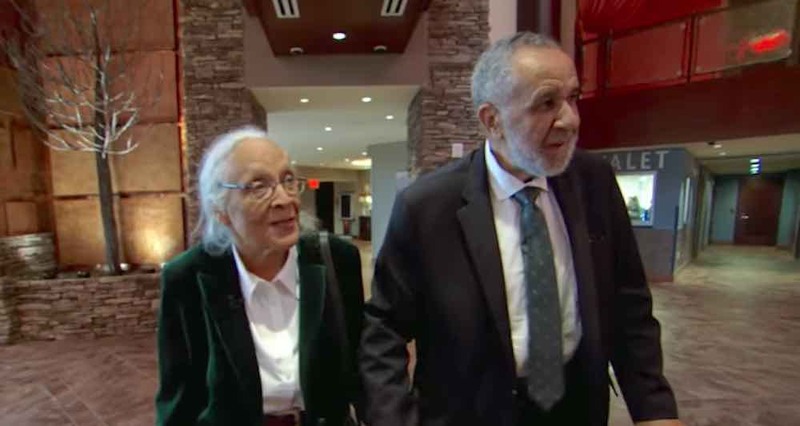 Back in 1957, the Caldwells got married at a church in North Carolina before driving eight hours to the Mount Airy Resort in Poconos, Pennsylvania for their honeymoon. Despite having a reservation, the happy couple was turned away from the hotel for being black. The incident spurred the Caldwells to join the civil rights movement where they worked side-by-side with Dr. Martin Luther King Junior. To this day, Grace and Gilbert still give speeches and lectures to schools and organizations about their experience with racial injustice. But when they told the story of their honeymoon to the fifth graders at Bear Tavern Elementary in Titusville, New Jersey, the kids became especially saddened by the tale. Months after seeing the Caldwells speak at the school, all of the fifth graders banded together and wrote letters to the Mount Airy Hotel asking for an all-expenses-paid second honeymoon – and their wish was granted. “It makes me feel really good inside because we know that even though we’re just kids, we made an impact on the world,” one student told CBS News. (WATCH the heartwarming video below) – Note: International viewers can watch the full video on the CBS News website. This story made my day. I’m so grateful for those kids.